The ShopRite LPGA Classic presented by Acer, which has a Hall of Fame list of champions that includes Karrie Webb, Annika Sorenstam, Betsy King, Se Ri Pak, Nancy Lopez and Juli Inkster, added first-time winner Annie Park to that roster on a Sunday when the mantra was “How low can you go?” Cheered on by family and friends, the 23-year-old from Long Island, N.Y., a couple hours up the New Jersey Turnpike from the Seaview Resort in Atlantic City, N.J., prevailed by one stroke over Sakura Yokomine. 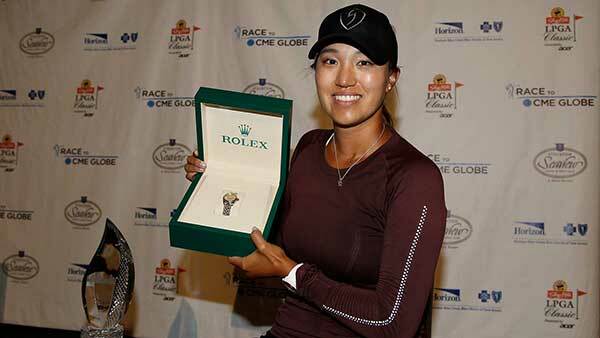 Former Symetra Tour Player and Rookie of the Year Annie Park notched her first-career LPGA Tour victory Sunday after firing an 8-under-par 63 in the final round of the ShopRite LPGA Classic presented by Acer.Here’s everything you may have missed from the finale at the Stockton Seaview Hotel and Golf Club in New Jersey. A five-stroke deficit and 55-minute weather delay did not phase Maia Schechter, who fired a 6-under par 66 in the final round of the Four Winds Invitational to come away the victor. After missing the cut in five of the first six tournaments this year, Schechter put it all together at Blackthorn Golf Club with an 11-under par overall showing. The win is her first on the Symetra Tour.